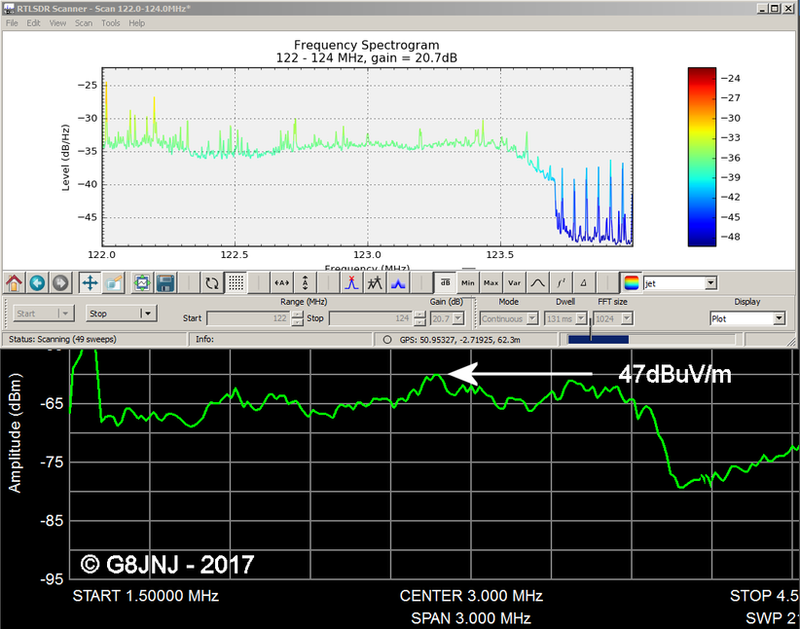 About 50% of my amateur radio friends are currently suffering severe interference from Broadband internet VDSL services that are carried by conventional copper phone lines. This page summarises my investigation into various aspects of interference arising from VDSL services in the UK to help assist the RSGB's EMCC committe. 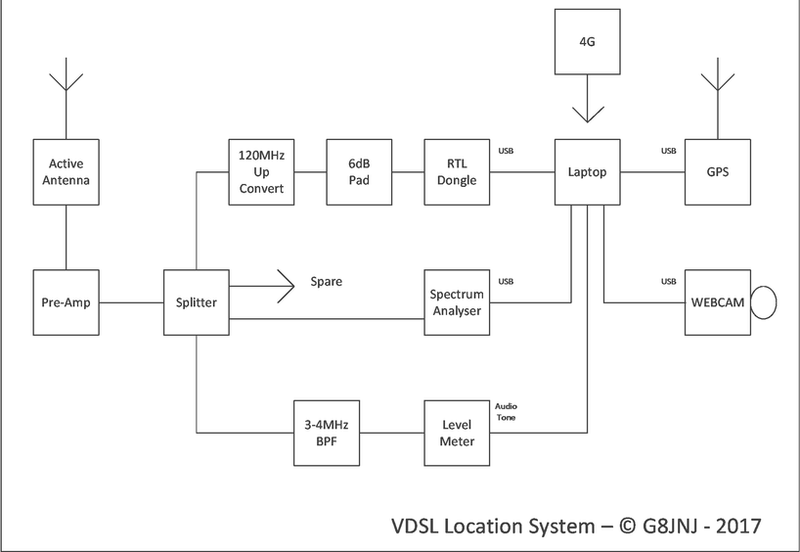 I'm currently working on a low cost ‘Drive-By’ VDSL measurement system, that I hope will be able to be easily deployed by local clubs in order to help members localise and identify VDSL and other interference sources. 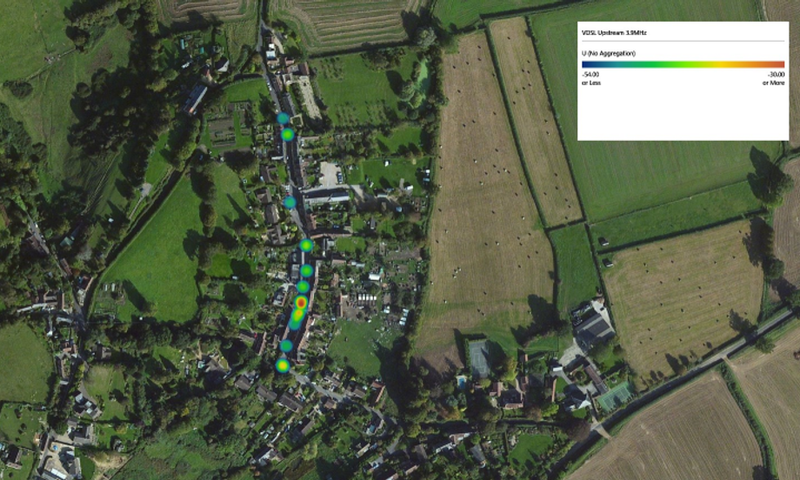 The current system uses a low cost SDR dongle, GPS module and webcam combined with free software, which allows field strength measurements to be captured and plotted onto maps of the area concerned. A block diagram of the basic system is shown below. 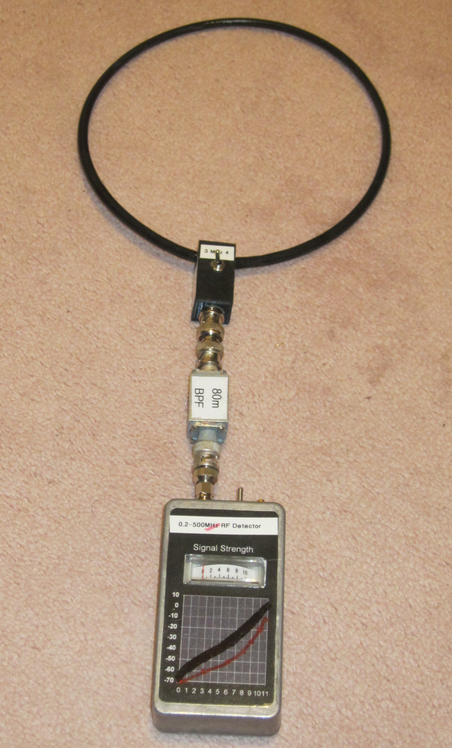 The active antenna feeds a distribution amplifier and splitter. 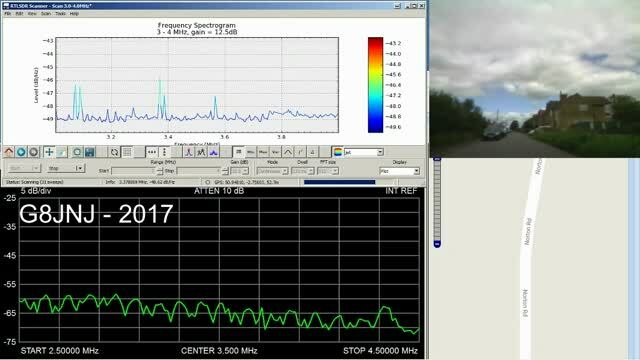 The dash mounted WebCam allows me to record the position of the overhead phone lines and VDSL street cabinets as I drive past, as these are not shown on the map. The most significant problem continues to be finding a simple way to plot the captured information on to a map. Mircosoft Excel has several methods for plotting data onto maps, but unfortunately there doesn't seem to be a consistent method that can be used in all versions without installing add-ons that may (or more likely may not) work with other releases or configurations of Excel. If anyone knows of any other (ideally free) map plotting software that can be used to produce heat maps with colours properly representing the actual data values (as shown below), please let me know. 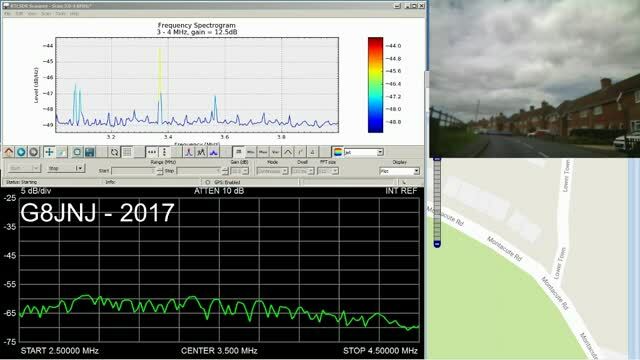 Once the general location of the VDSL nterference source has been determined, individual phone lines can be checked with a small tuned loop and RF detector. The loop is a single turn series tuned circuit with a impedance transformer to match to 50 Ohms. The tuned frequency can be changed to 3.1 or 4.1MHz by means of a small toggle switch. 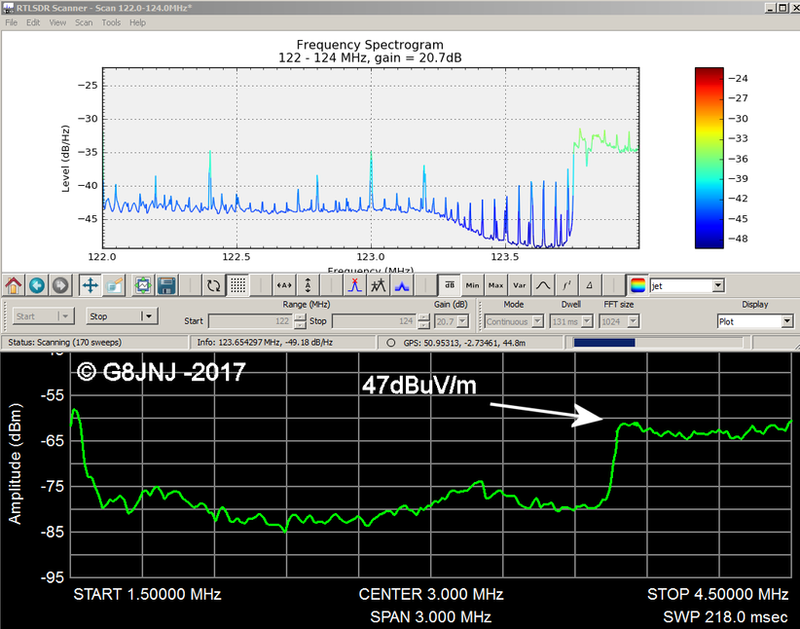 An additional 3MHz to 4.5MHz band pass filter is placed ahead of the RF detector to help reject other signals that may be present. 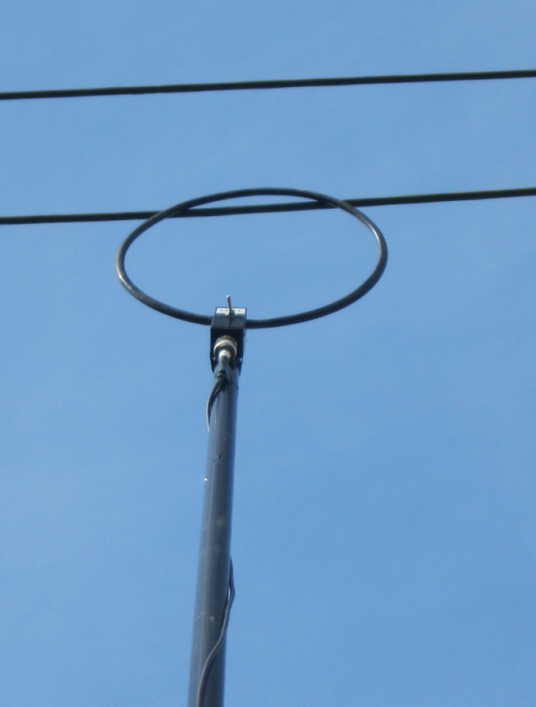 The loop can be mounted on a telescopic fishing pole so that it can be used to test individual drop wires. Ideally the loop should also have had an electrostatic screen to reduce E-Field pickup. I may build a new active detector probe with the ability to switch between E and H field modes, so that I can investigate which is the dominant transmission mode.